Replacement Lenses & Services - Sunglass Emporium is Northern Arizona's largest sunglass and prescription optical store. We have been family owned and operated since 1988. Our staff will make adjustments and repairs to any sunglass or Rx frame purchased at Sunglass Emporium for the lifetime of the frame. We also offer a unique service unlike any other sunglass store. 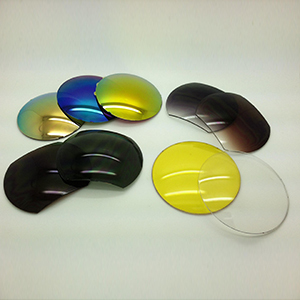 For scratched or broken lenses, we can replace with authentic lenses if applicable or we can offer a same-day custom-made lens service. Call or stop in to inquire more about this service. Call or stop in to inquire more about this service.